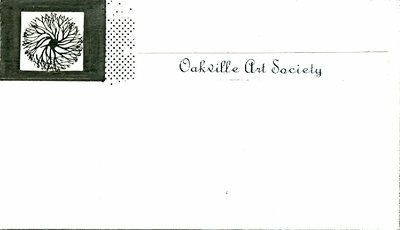 President and founder, Esther Demeny, designed the first logo for OAS. The logo went through a few reiterations before the final design was decided on. 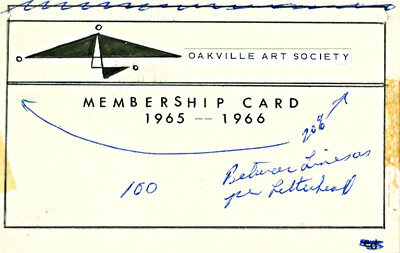 This version is closer to what would become the logo for OAS until Tom Chatfield would design a new one in the 1970s. 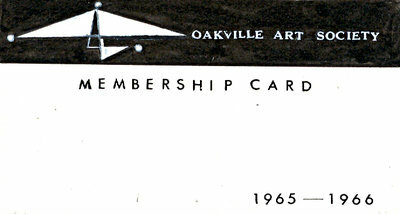 This is an original membership card for the first year OAS was in existence. It shows the final logo design decided upon by Esther Demeny and fellow members. 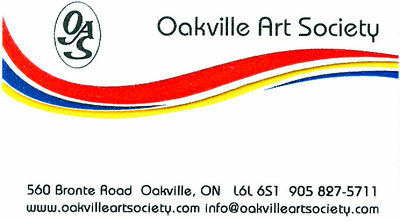 The second logo was designed by artist, Tom Chatfield, who was OAS’s Art Director for many years as well as an instructor. 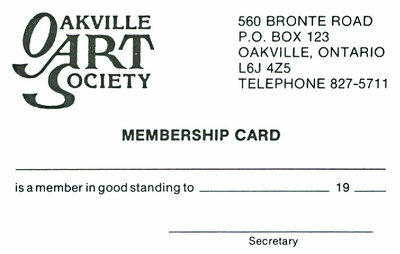 The logo depicted the Red House and was used by the society throughout the 70s until the move to 560 Bronte Rd in 1980. The third logo was designed by Cathy Crow of Blackbird Graphics, located in Oakville. Recently the logo has been slightly modified to include a swoosh of primary colours. The new logo was designed by OAS member, Mary Driussi-Yaber.